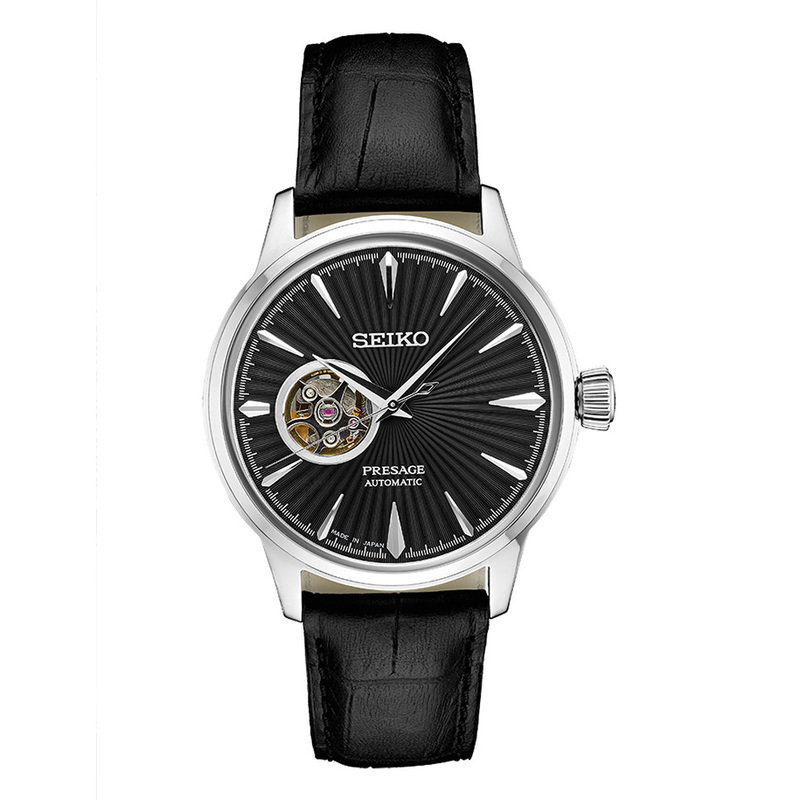 More than 100 years ago, Seiko produced the first wristwatch made in Japan. 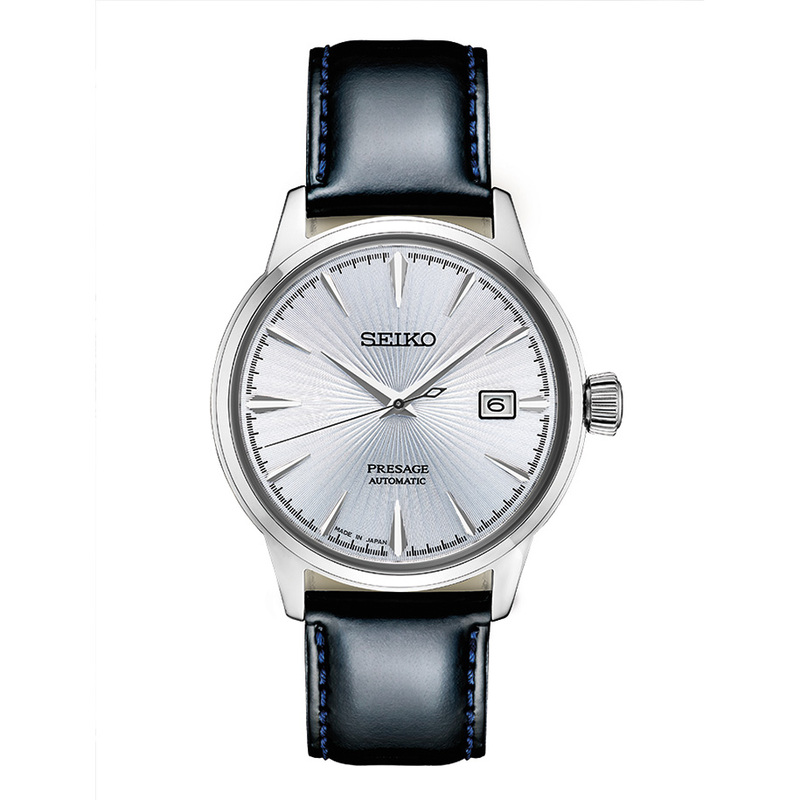 The tradition of Seiko’s craftsmanship was born. As many popular Seiko models are “nicknamed by the public,” these SARB watches were dubbed “Cocktail Time.” They are dressy but not overly formal, and it is easy to imagine wearing such a watch in a drinks-after-work setting, even without knowing Seiko’s stated inspiration for the designs. Apparently, the designs were based on cocktails created by Japanese bartender/mixologist Ishigaki Shinobu. 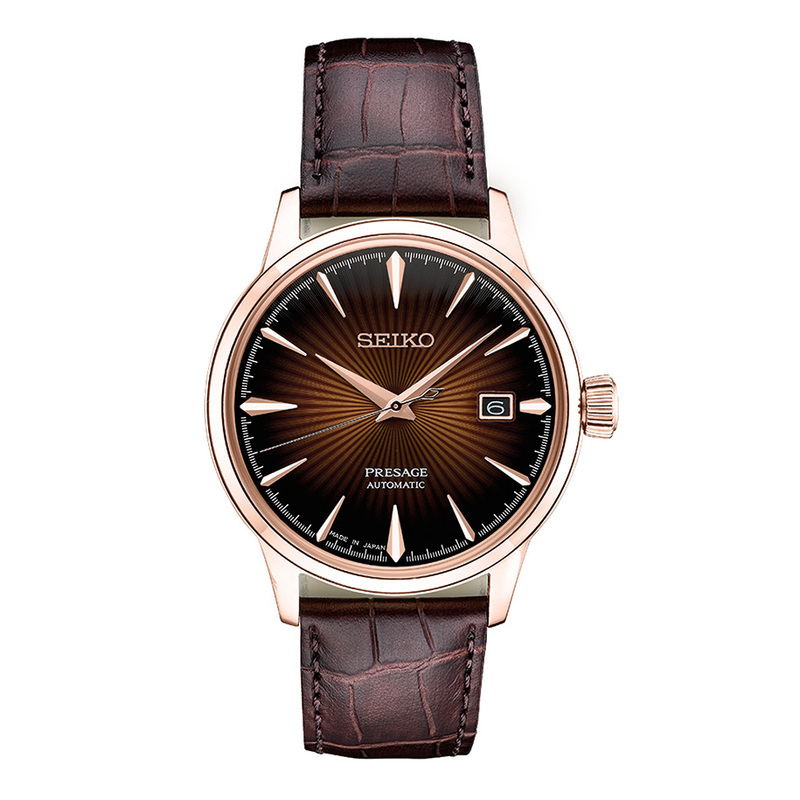 These new watches share the same origin story, so we feel it is appropriate to also refer to them as the new Seiko Presage “Cocktail Time” watches. The Presage collection was introduced to the international market in 2016 and seeks to offer affordable Japanese mechanical watchmaking to the rest of the world. So it makes sense for these eight new watches to join the Presage collection. The eight watches will fall broadly into two groups: the SRPB series which consists of simple three-hand watches with a date and the more complex SSA series which is made up of watches with a power reserve and date sub-dial. Let’s take a look at the SRPB series watches first. 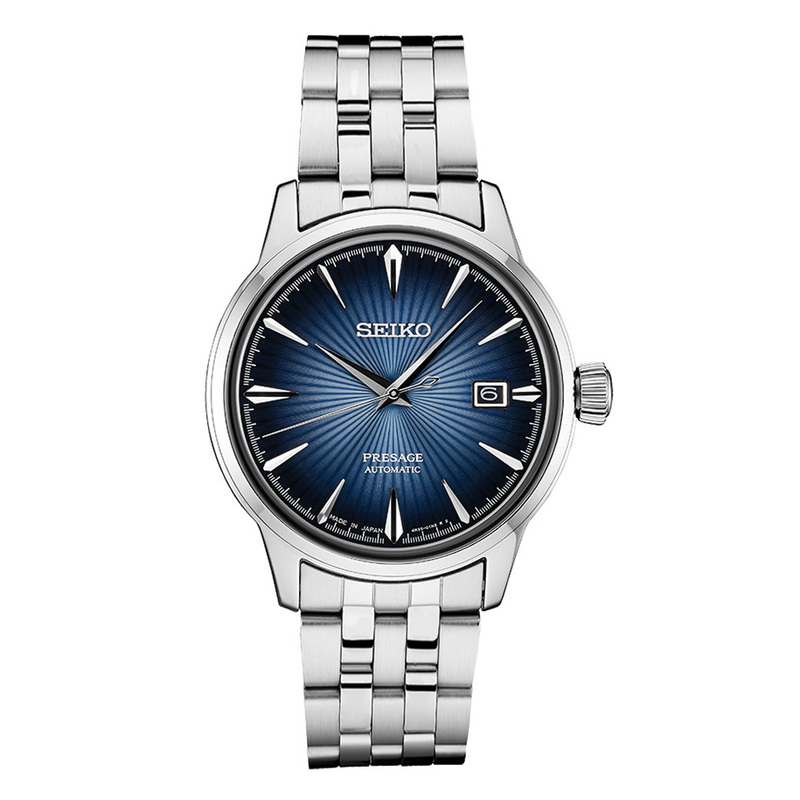 There will be four new watches in the SRPB series, and the SRPB43, with its silvery blue sunburst dial, is the one is that is closest to the older SARB065. The case is mostly similar, except for the larger and more substantial crown. 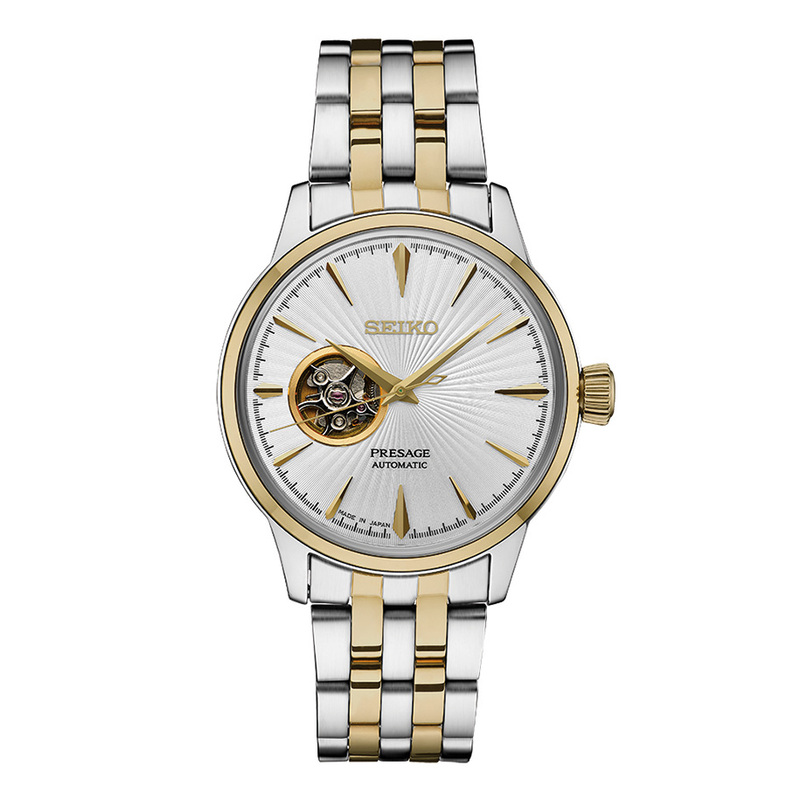 The case is made out of stainless steel, but Seiko will offer two variants that come with yellow and rose gold-plated cases. Case diameter is unchanged at 40.5mm, but case thickness has been slightly reduced from over 13mm to 11.8mm. 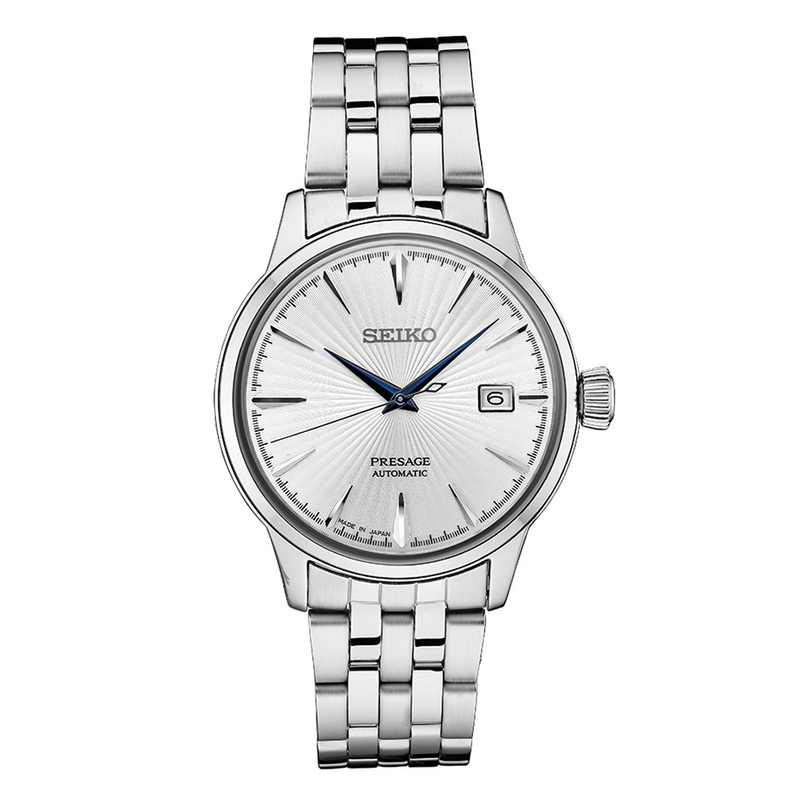 Interested in the new Seiko Presage collection ? Use the form below and we will contact you as soon as possible.